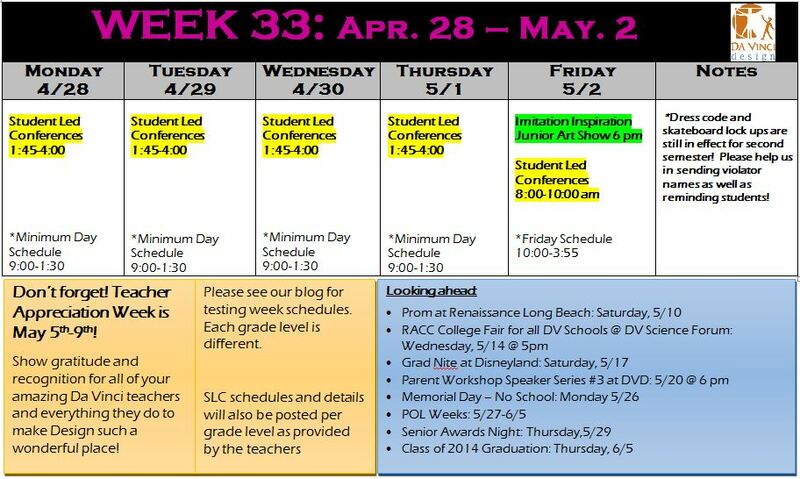 Student Led Conferences and Testing Week have arrived! If you are unsure of your student’s scheduled SLC time, please contact one of the grade level teachers as they will be able to provide you with this information. Once we have finalized schedules, we will also post them to the blog. Ms. Anderson will be posting a separate message with testing week details, so stay tuned!